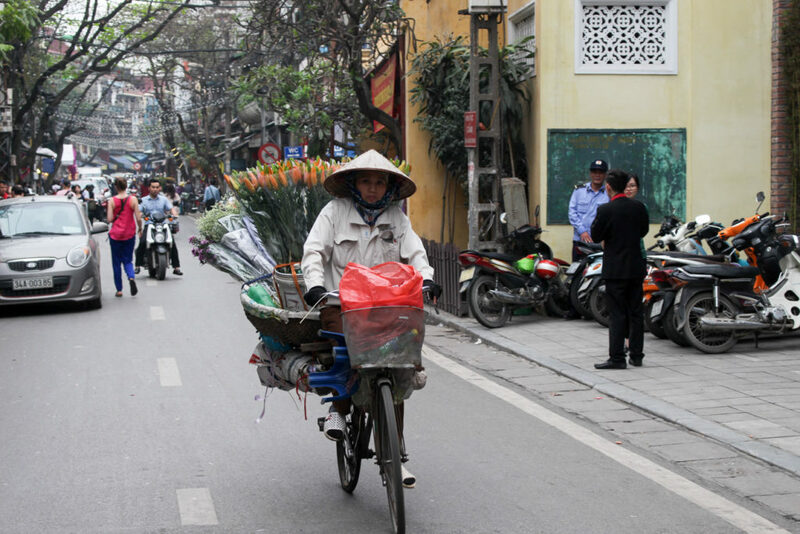 Hanoi is a sensorial city. From the moment you arrive, you are stormed with noise, smells, and flavours. 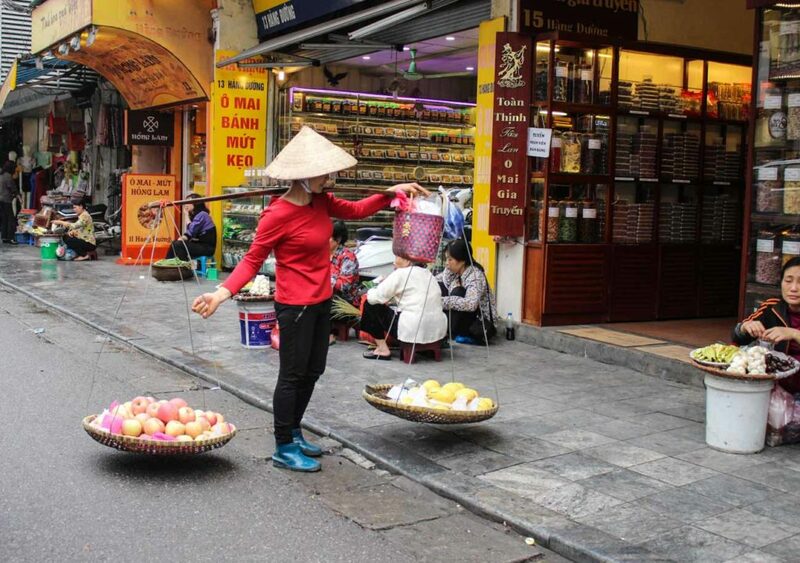 To find your way in this huge and busy city, follow our recommendations to interesting things to do in Hanoi, best places to stay in Hanoi, tourist attractions and a bunch of local experiences. Hanoi was the last stop of one month travelling in Vietnam, and the city didn’t disappoint us. 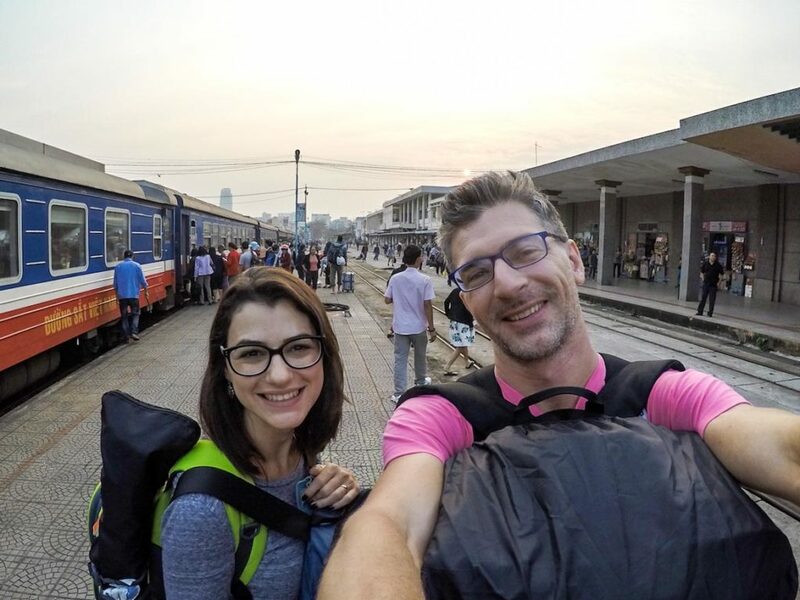 We survived to the crazy Ho Chi Minh City, explored the picturesque Hoi An on a Vespa Tour, trekked the Sapa mountains, and now was time to discover the local things to do in Hanoi. Surprisingly, the city is more Asian than I expected. 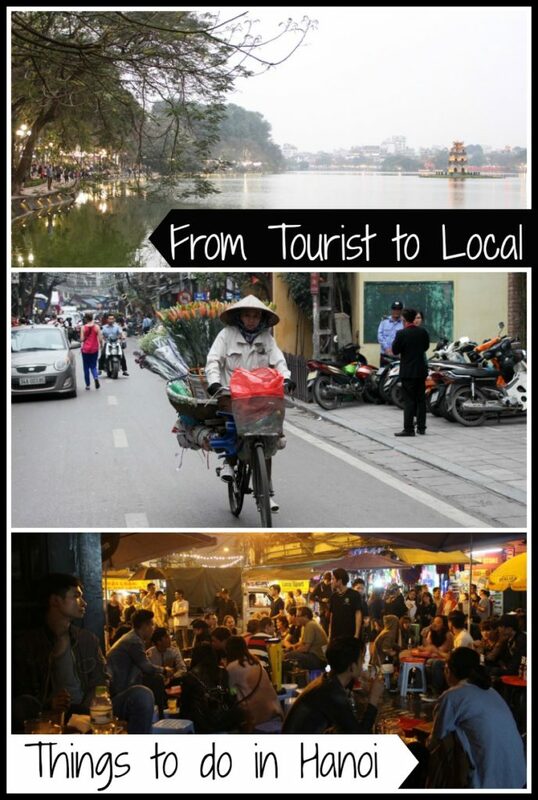 Comparing to other Southeast Asia capitals that we have visited, Hanoi is the least westernized. There are so many things to see in Hanoi that I could write at least three posts about it, but they would be damn boring. So, what you gonna find here is a travel guide to Hanoi giving you two different tips: a tourist and a local. We’ll give you recommendations on where to stay in Hanoi, attractions, and local things do in Hanoi. Don’t be surprised if most of them involve eating & drinking. That’s the first thing you must learn: food, coffee, and local beer are serious business in Hanoi. Before listing the top things to do in Hanoi, and local recommendations, we have to talk about accommodation. 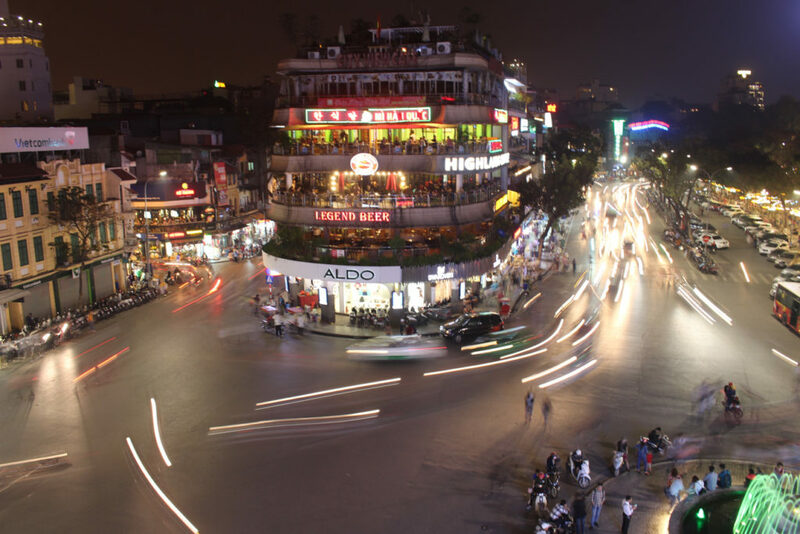 The city is big, there are hundreds of hotels in Hanoi, for all tastes, styles and budgets. To find a hotel or hostel in Hanoi is easy, hard is to decide where to stay, which is the best location to stay in Hanoi. > Travelling to Hanoi on a budget? If accommodation is not your priority, and every penny saved means more attractions that you can visit or beers that you can drink, your hotel is located in the old quarter. From party hostels to boutique hostels, at the old quarter you can find it all. The price of the budget rooms don’t change a lot, but the quality of the rooms can vary immensely. Most of the hotels offer rooms with hot shower, a/c., and a simple breakfast. The best websites to research and book a hotel at Hanoi old quarter are Booking.com and Agoda. > Looking for luxurious hotels in Hanoi? Do you want luxury and international service? So West Lake is your address. There you find the best hotels in Hanoi, with great views, nice restaurants and rooftop bars. The only negative point is that you will be far from most of the tourist attractions in Hanoi, and you might need a taxi to go everywhere. That’s not a big deal, just keep in mind that Hanoi’s traffic is crazy! > Airbnb in Hanoi, is it good? On our holiday in Hanoi, we stayed in an Airbnb apartment and love it. It was a beautiful studio, outside of the old town, not too touristy, so we experienced a bit of the local life. Plus, it was a walking distance from all the points of interest and things to do in Hanoi. If you want a place with a kitchen and a more homey feeling, I recommend you to rent an apartment in Hanoi. Here is the link from the place, and don’t forget to get your discount on your first booking on Airbnb here! Things to do in Hanoi, Attractions, Local Tips & Delicious Food! 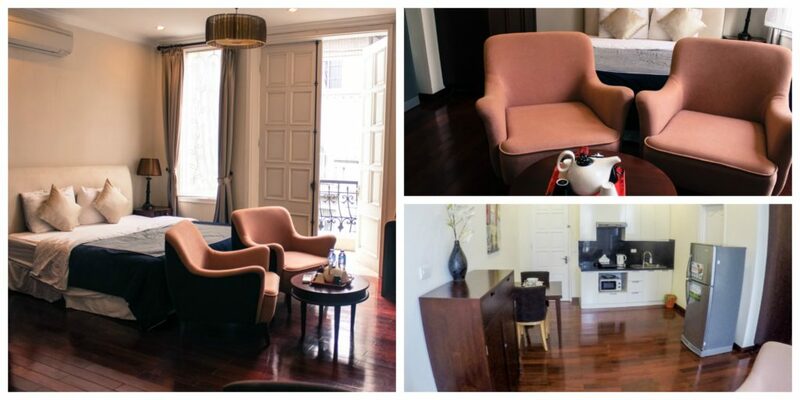 Now that you already know where are the best places to stay in Hanoi, let’s enjoy! The city is huge, but most of the interesting places are located in the old quarter or around it. Most of Hanoi’s tourist attractions are a walk distance from each other, or a quick taxi ride will do the job. There are plenty of things to do in Hanoi, here are the ones we liked the most, some delicious food you should try and local tips. If you want to enter the Ho Chi Minh Mausoleum, go early in the morning. The place opens just a few hours per day and the queue can be huge. We skipped the Mausoleum and visited two other attractions nearby. The One Pillar Pagoda is located between Ho Chi Minh’s Mausoleum and the Ho Chi Minh’s Museum, it’s a tiny and beautiful temple that you can visit in 15 minutes. Coffee Time! Vietnam is famous for its coffee, and they produce it a lot. Although, the way of roasting, serving, and the taste are a bit different from western coffee. On the streets around the mausoleum, you will find many coffee shops, simple places selling good coffee for a well-dressed clientele. 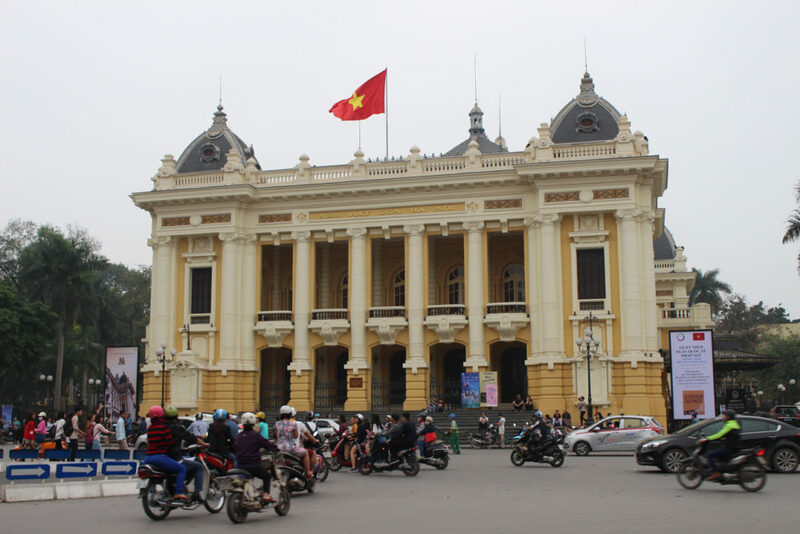 This area of Hanoi is known for the embassies and governmental buildings. Sit, order a coffee and you might end up overhearing some political gossips! These two attractions are located in a very posh area of Hanoi. 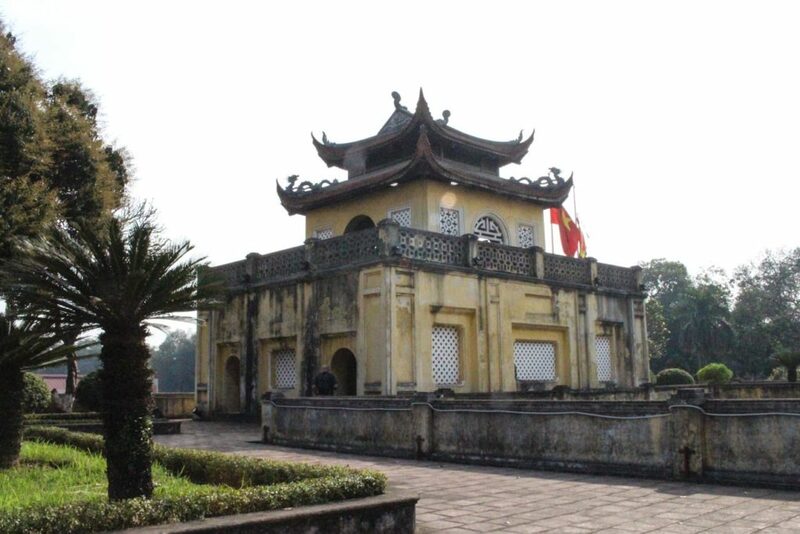 The Hanoi Opera House is a perfect example of the French influence, and the Museum has a vast collection of artifacts from different periods of Vietnamese history. If you fancy a drink, on the Tong Dan street, almost in front of the museum there is the Tadioto bar , known for exquisite cocktails. Join the interesting crowd and enjoy the happy hour. 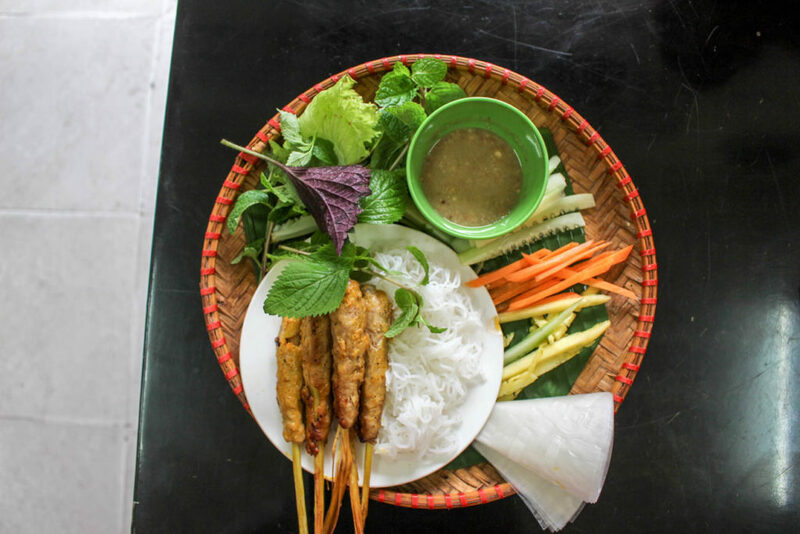 Hanoi Local Tips: Feed your stomach and soul! If you like to try local places and food, here it goes a special recommendation. 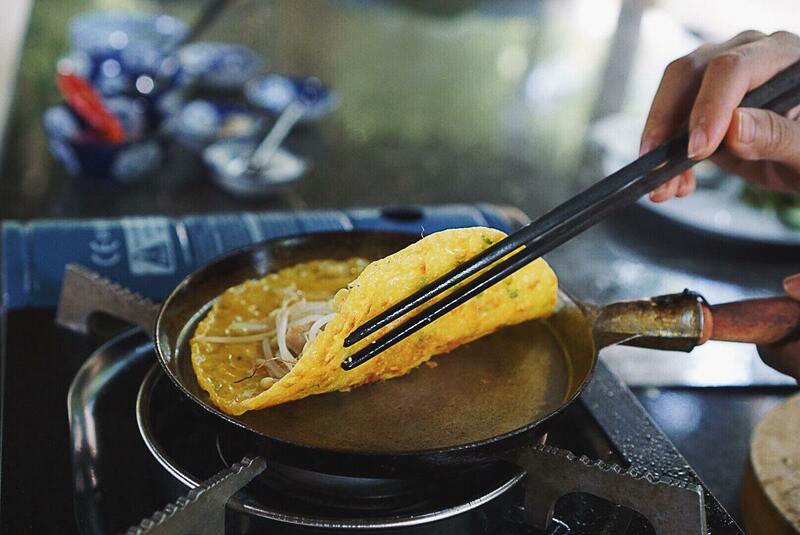 At the Trang Tien street, beside the Museum of Vietnamese Revolution, you will find a small restaurant, Moc Cafe, with a sign “Hoi An Mì Quảng”. Enter and order one! Don’t forget to order a local beer to it wash down! So far, one of the best dishes I ate in Hanoi. Homemade noodle, peanuts, boiled egg, greens and spice. Yummy! 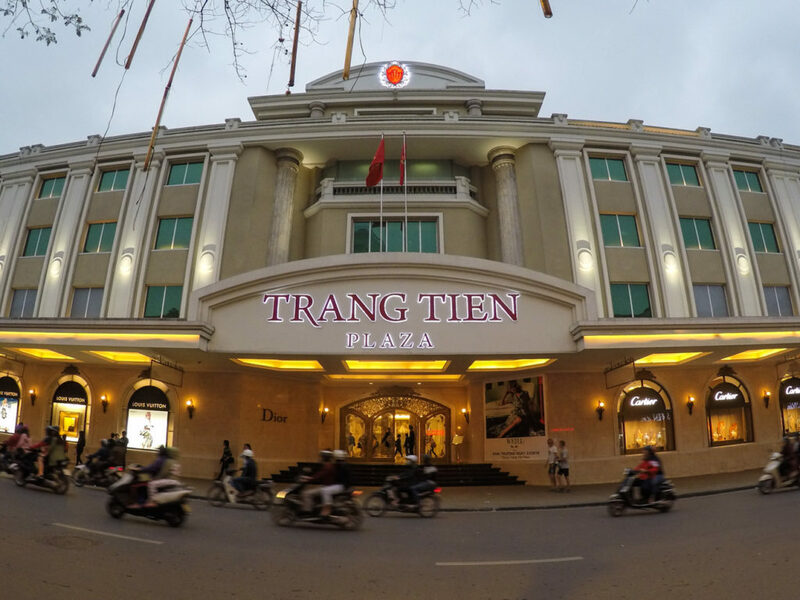 In front of the Hanoi Opera House is Hanoi’s stock market building, and a bit further is a luxurious shopping mall selling international and expensive brands. A strange scenery if you think that Vietnam is a communist country and most of the people there live a simple life. Contrasting with all the luxury and gold that comes from the windows of the mall, there is a place of happiness for ordinary people like us. Hanoi Local Tips : Kem Trang Tien, ice cream heaven!! The ice cream is delicious, however the way they sell it, the small alley that ends in an ice cream complex, the crowded shops, and endless queue that are really amazing. The ice cream is served in a production line, you can’t choose the flavour, each stall serves their speciality. Choose a shop, wait in the line and delight yourself with a sweet treat. Local people might stare at you, we were the only foreigners there. If you miss the sign “Kem Trang Tien” on Trang Tien street, just look for the crowds. One of the top things to do in Hanoi is to walk around the Hoan Kiem Lake and visit the temple there. The red bridge is super cute and the Ngoc Son temple is impressive, but be prepared to fight for space, the place gets packed, that so dreamed photo of you alone on the red bridge is almost impossible. But even though it is a must see in Hanoi. 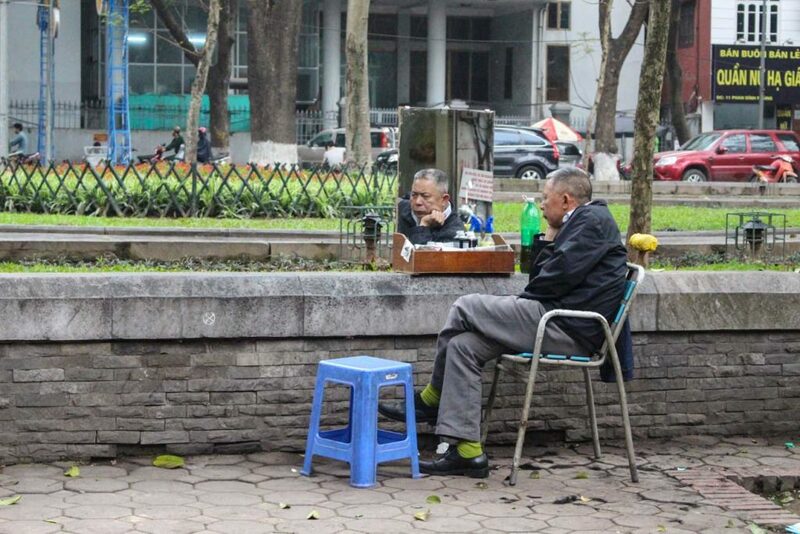 Hanoi Local Tips: Choose between jogging or people watching! 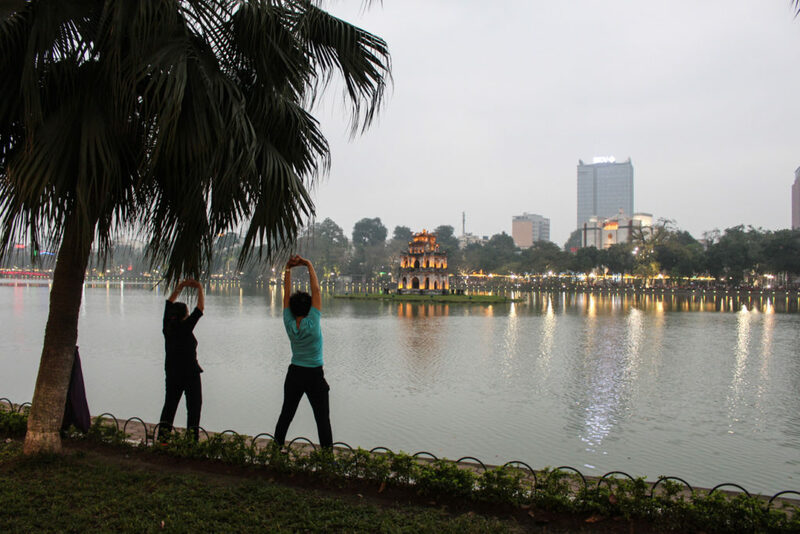 Instead of visiting the Hoan Kiem lake in the middle of the day, wake up early and go there around 7am. The place is completely different, the fog covering the lake gives a mystic look to the place. Plus, early in the morning you can see local people running, practicing Tai-chi-chuan, old ladies exercising in some interesting and funny way. Wander around is a must thing to do in Hanoi, especially in the old French quarter. Get your city map and go searching for the temples. Most of them are beautiful, with outstanding wooden carving work, paintings, and impressive statues. This is the most touristic area in Hanoi, be prepared for crazy traffic, street vendors, food and garbage smell. At the old quarter don’t forget to try the traditional and famous Bánh mì. The baguette sandwich is delicious and you can choose the filling. Chicken, pork, bacon, eggs and a secret mixture, a kind of patê made from insides and herbs. Rob tried and like it, I ate only the vegetarian Bánh mì with egg & veggies. 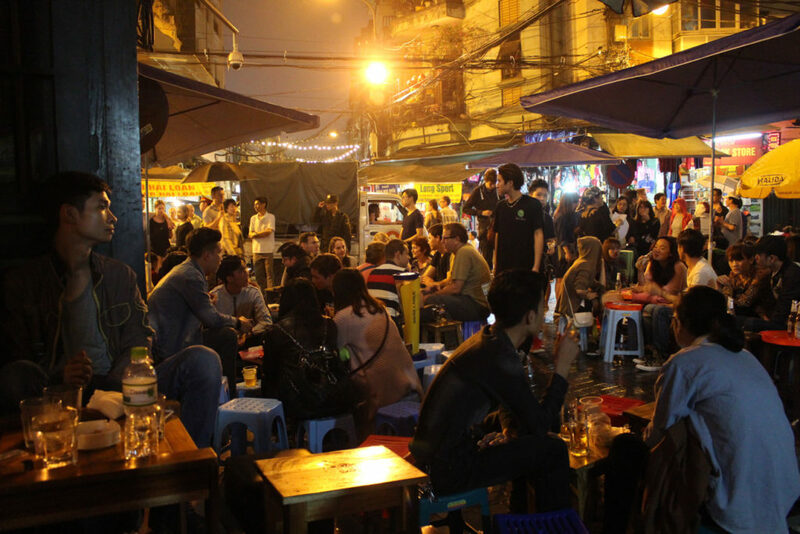 The happy hour with Bia Hoi is one of the top things to do in Hanoi. From 6pm to midnight some streets in the old quarter become a huge open-air bar. The shops stretch their tiny tables and chairs over the streets trying to accommodate tourists and locals. It’s a sea of people drinking delicious fresh brewed beer. On the corner of Ta Hien street and Luong Ngoc Quyen street are the local bars. The tables are simple, there is no decoration on the bar, and most of the time the beer kegs will be outside of the shop sitting on the path walk. On the menu will be chicken feet, fried or marinated, nuts and BBQ snacks. All them served by passing vendors. An important thing: Bier Hoi on Sundays are not the best, the local breweries produce beer from Monday to Saturday and the delivery is daily, so on Sunday the beer is not that fresh. In Vietnam, people who work with tourists can be very pushy, and although they are nice people, they are not the most polite ones. Don’t be disappointed or scared if someone yell at you, try to charge you more, or offer you the same thing a hundred of times… They do that, we get really annoyed, and sometimes people can feel unsafe or under pressure. That’s why it’s not easy to go out of the beaten path in Hanoi. That’s why we took a rickshaw/walking tour to be able to discover more local things to do in Hanoi. We jumped on the Local Life Tour organized by Buffalo Tours [we already did tours with them in Sapa Mountains and Hoi An in Vietnam, and in Chiang Mai, Thailand] Our guide took us to places that we would never find by ourselves. We crossed the city on a rickshaw, passing by local houses, shops and street barbers. We visited historical places like the gate of the Citadel that still have on the wall the bullets holes from the French invasion; a hidden Chinese temple; stopping at a local eatery for some fresh spring rolls and homemade rice wine. He took us through a small door and we discovered a huge wet market inside, selling everything from veggies, frogs, spices and strange herbal medicines. Then we walked along the wedding cake street and tried some local dessert made with black rice, yogurt, and coconut milk. 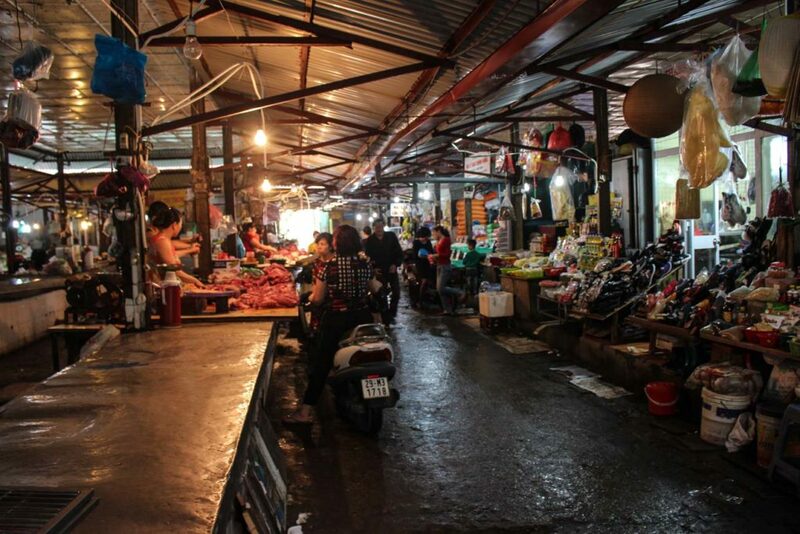 Our final hour was devoted to the touristy Cho Dong Chuan market, but we did it in a different way, in a local way. We squeezed ourselves between the back alleys, passing by some doggy doors, small streets that were packed with food, goods, people selling and people buying. To wrap up the day we sipped egg coffee, a traditional and strange local recipe. 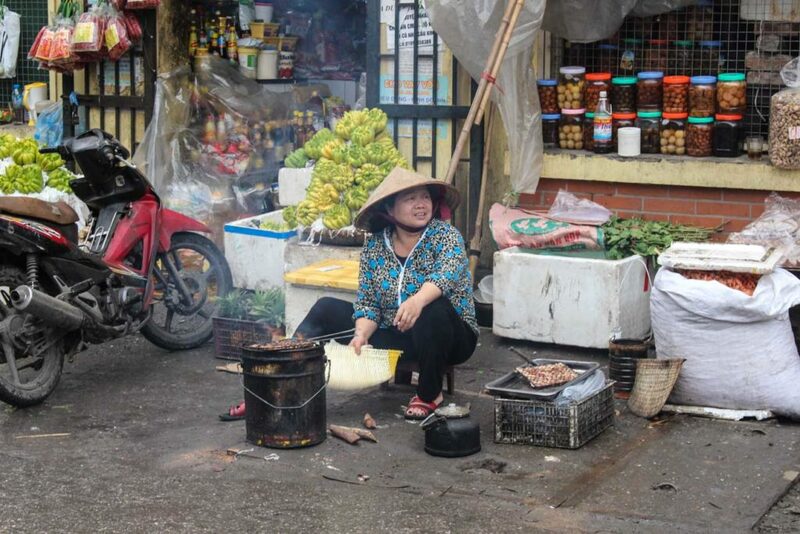 Our like a local tour was an intense and sensorial experience as only Hanoi can be. There are plenty of international airlines flying to Hanoi on a daily basis. For the best flights to Hanoi do your research and book via Skyscanner or Expedia. We found the best rates with them, and they also include the low-cost airlines on their results, what is cool! Hanoi train station is big and busy. If you want, you can come all the way from Ho Chi Minh to Hanoi by train, it’s not the fastest way, but it is doable. Hanoi is connected with all the major cities in Vietnam and it’s the best start point for a trip to Sapa Mountains. It’s not so easy to buy the train tickets in advance. On the website Vietnam Railways you can check the timetable and fares, but they don’t accept all the credit card, and we couldn’t buy the tickets online. We went to the train station one day before the departure to buy our tickets and worked fine. You can ask the hotel reception to buy the tickets for you, or go to a travel agency, but they charge way too much for the service. Was cheaper to pay the taxi to the station and buy the tickets ourselves. Travelling to Hanoi by bus is a nightmare. We did only two trips by road in Vietnam and they were enough to learn the lesson: don’t travel by bus in Vietnam and don’t go to Hanoi by bus! The roads are unsafe, the traffic is crazy, and the worst part: they honk the bloody horn all the time. They are unstoppable, there are no earplugs strong enough to protect you from the noise of the road. Plus, the trains are more comfortable and safer. For us it was safe. We walked around the city late at night and no problem. Of course, you have to take care of your stuff, and don’t be too flashy with cameras and open bags on the streets and at the bars. Be aware of pickpockets and keep your bags and valuables looked in your room, especially in hostels. We use a money belt to carry our passport, money and credit card, a smart way to be safe! 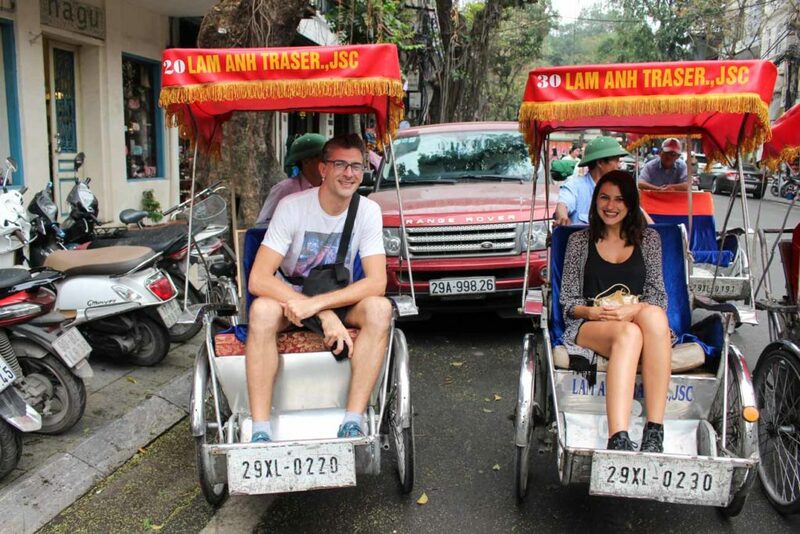 Now you know all the interesting things to do in Hanoi, tourist attractions and local tips. Time to pack your bags and go! Have you applied for you tourist visa? Check all the details on how to get your visa on arrival. 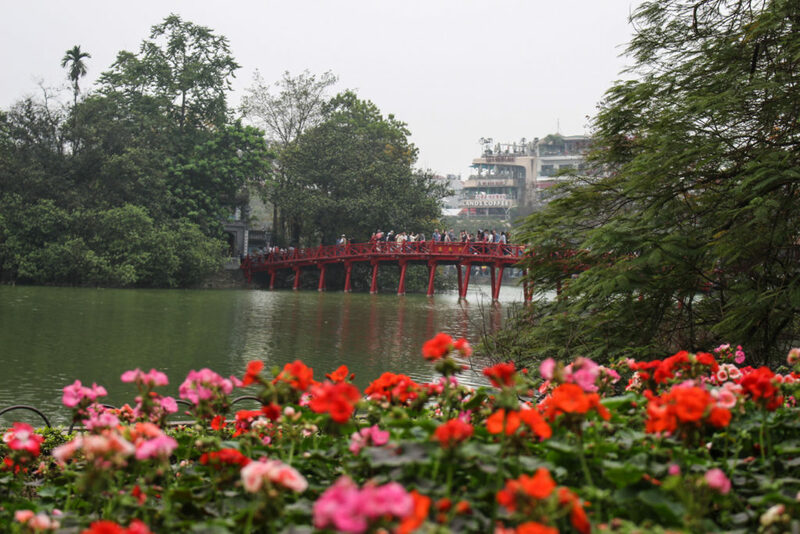 Hanoi is a unique city and if you get the chance to experience the local life and hidden places you will enjoy it much more. Did you like our suggestion of what to do in Vietnam? Any doubt? Cheers!! Glad you liked the post! 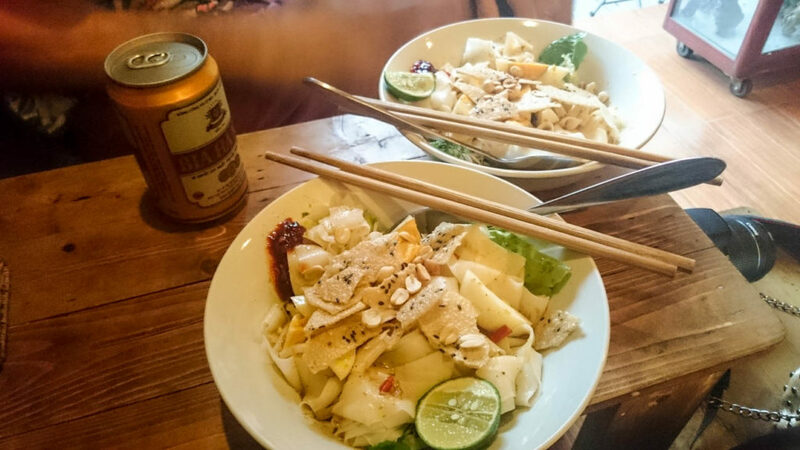 The food and beer scene in Hanoi is amazing, and I’m missing the happy hours there! Hanoi street barbers are the best. Hanoi is a great city. It’s a great city indeed! You guys look so lovely together! And this is such a well-crafted article. Will definitely refer if I’m Hanoi-bound some day. Hanoi is such an interesting city and with so many things to do, was hard to choose the best stops for the article! So many useful tips and ideas! I’ve been thinking of Vietnam for a while. It is still not an overly touristic destination as some other Asian countries. I would love to try the baguette sandwich and I could always get a Pho. Hanoi is definitely not so packed with tourists like the other capitals in Asia, and for me is the least westernize. And I’m sure you will love the Bánh mì. Awesome resource here Natalie. I’m headed that way in a few months, I will definitely come back to this post for information. Thanks again! Hanoi is a very unique and interesting city, hope you will enjoy it! You’re so right you could’ve written more than one post about Hanoi. There looks like there’s so much to see and do! How many days do you recommend for a visit? Love that happy hour scene. That would be such a fun experience. If you wanna follow the suggestion on the post, 4 days are enough. But if you want to explore more I would say to stay a week, and then do a 2-3 days trip to Halong Bay. The happy hour in Hanoi is great, serious business! Hanoi looks so beautiful! I honestly had no idea it had a French quarter. I think its time for a visit 😉 Thank you for a thorough overview! The French Quarter is very interesting, the fusion of French and Chinese on architecture and food is very unique. Thanks for the comprehensive guide to Hanoi! I often shy away from staying in the heart of the city when I visit SEA but I like that you listed several options to try. If I do visit, I would totally take your advice and stay in an apartment to get that homey feel! WE enjoyed our apartment a lot! Wow! Super comprehensive guide guys, thanks! The best bahn mi that I had was in Hoi An- it was soooo good! Funny that the best Mi Quang we ate in Hanoi! I’ve only heard great things about Hanoi! This is a great guide, definitely bookmarking. Thanks for sharing and happy travels! Great article! It seems like your time in Hanoi was one of the best! I’d love to try out the activities you had done. You rock girl! Thanks! Hanoi is a very interesting city, I enjoy it a lot! Make sure to walk on the alleys of the old quarter! Enjoy! This post is amazing. <3 It's hard to see posts about the in and outs of a place instead of the cliche and flashy information. Thanks! Tks for the kind words! Have a great time in Hanoi! Thank you for all these tips ! If I can recommand something else, you shloud sleep at this homestay : Hanoi Old Quarter Homestay, 39 Ngo Huyen. Your information is very useful. Thank you & keep continued!